This post is dedicated to all of you that believe in color, that dream in color, that create and are inspired by color. 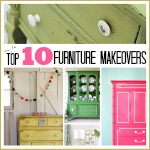 If you love color but are afraid of using it you are at the perfect place and at the right time since today I am sharing my 10 Favorite Furniture Makeovers of all time. 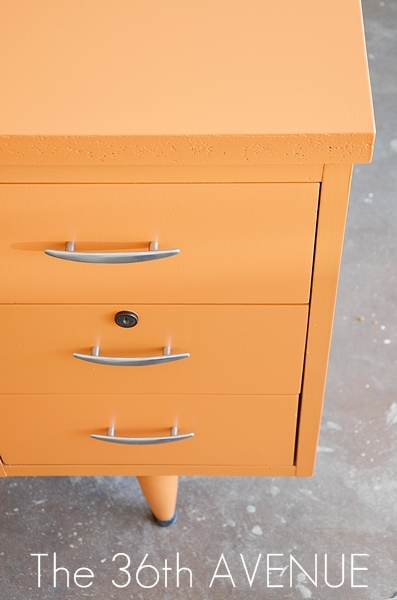 These furniture makeovers have in common a few things. 1. The color choices are exquisite and perfect for each piece. 2. The execution was done flawlessly which makes each piece gorgeous. 3. These pieces of furniture are focal points surrounded by neutral backgrounds. 4. All of these are makeovers. These used to be old furniture and look at them now! 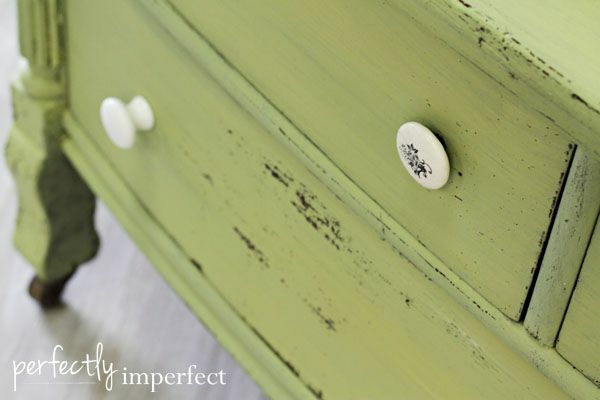 This gorgeous dresser makeover at The Weathered Door is beautiful. I am in love with the color choice! 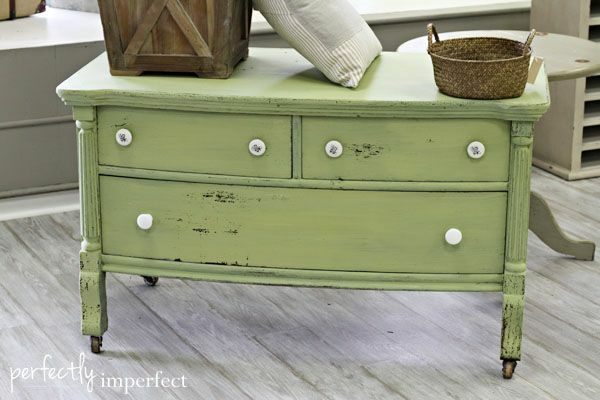 Perfectly Imperfect chose this pastel Lucketts Green to give this chest a new look. Oh my! So very pretty! 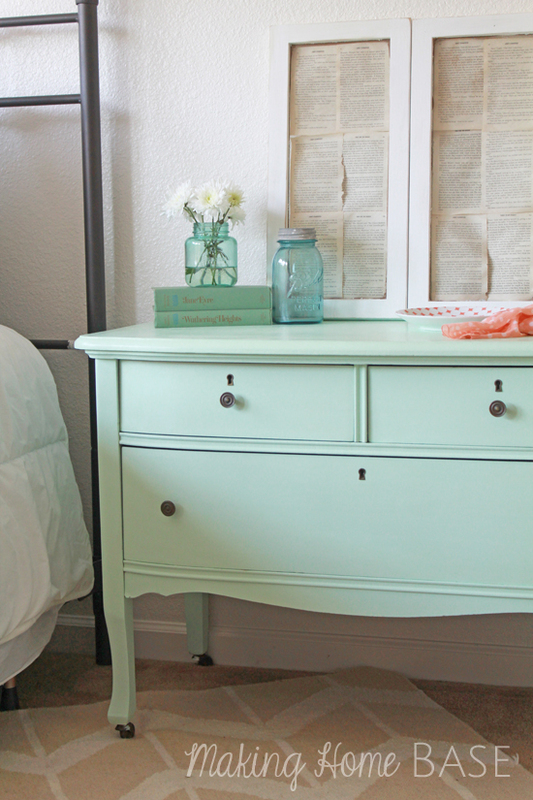 This mint Night Stand Makeover at Making Home Base is simply special. I have one word for this piece: perfection. 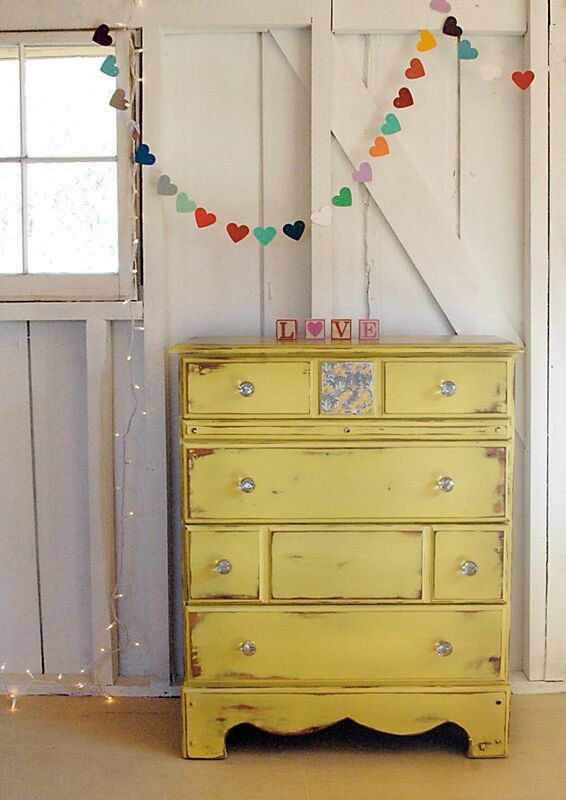 When I saw this yellow dresser at 508 Restoration & Designs my heart filled up with sunshine. It’s amazing how color can brighten up your day! Seriously this is a gorgeous bright piece of furniture by In My Own Style. The gold hardware is timeless and fantastic! Brittany Makes shows us how you don’t have to spend a fortune to have great style. 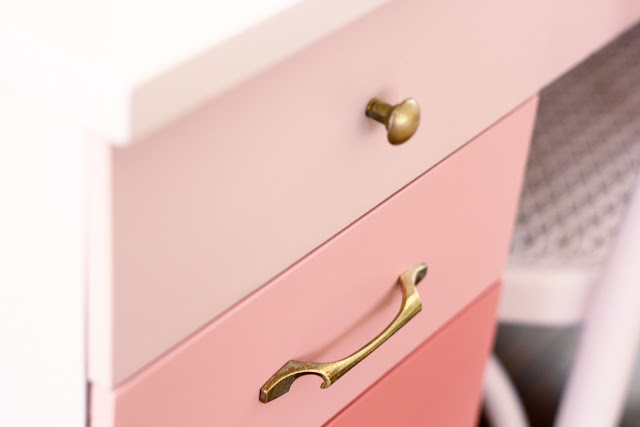 I love how she gave this dresser a complete new look with coral color paint. 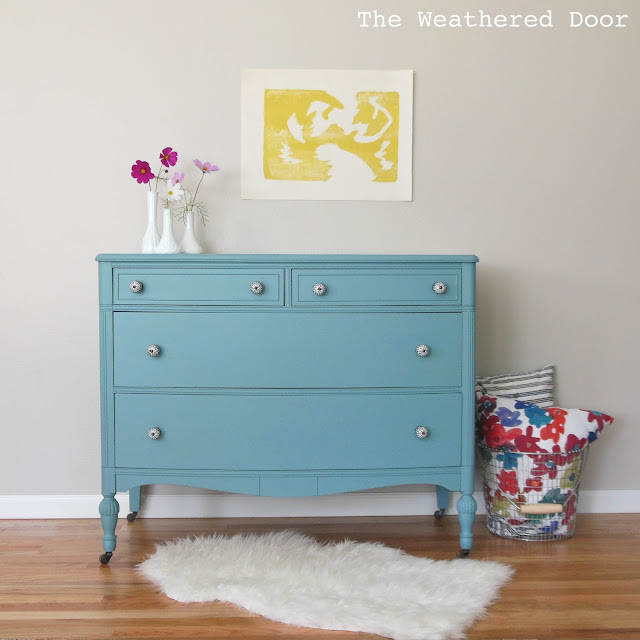 If you love blue you are going to adore this chest makeover at Centsational Girl. 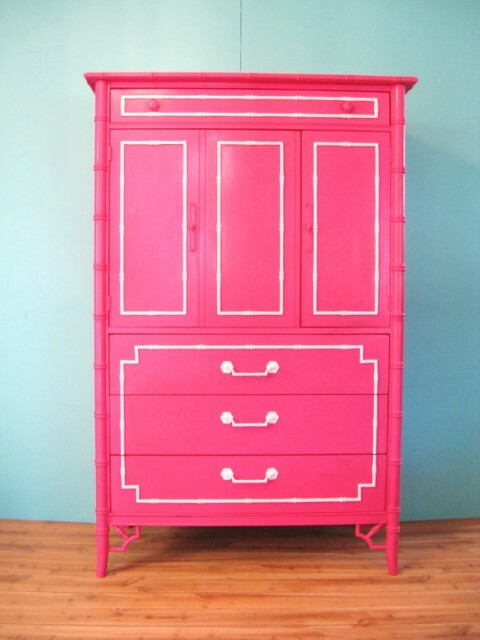 This hot pink armoire that I found over at Fabulousmess is full of personality… So fun! 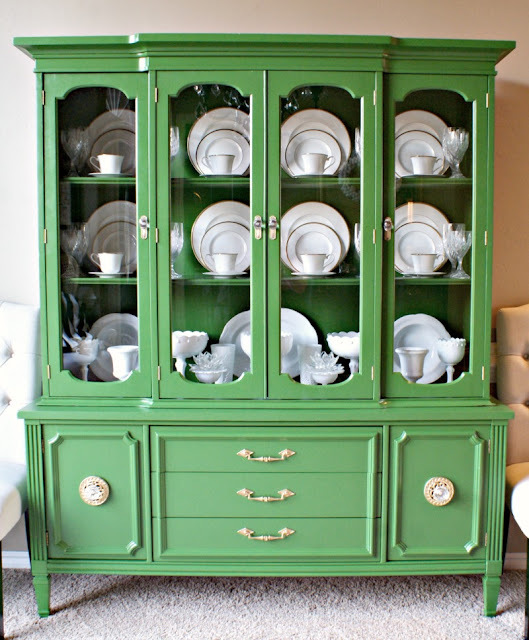 I love how Dimples and Tangles used it to transform her China Cabinet. 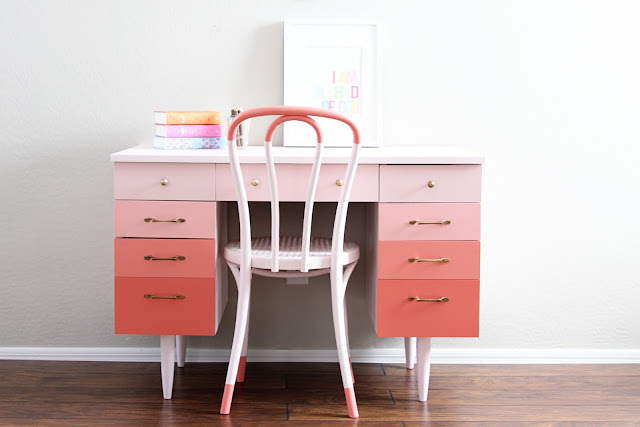 How adorable is this ombre desk makeover by Natty by Designs? Such a pretty look for a girl’s room! 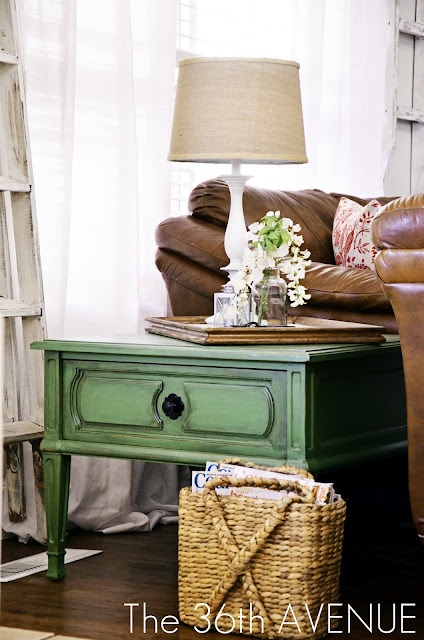 Before you go I want to invite you to take a look at our Green End Table Makeover. And also check out how to paint laminated furniture here. 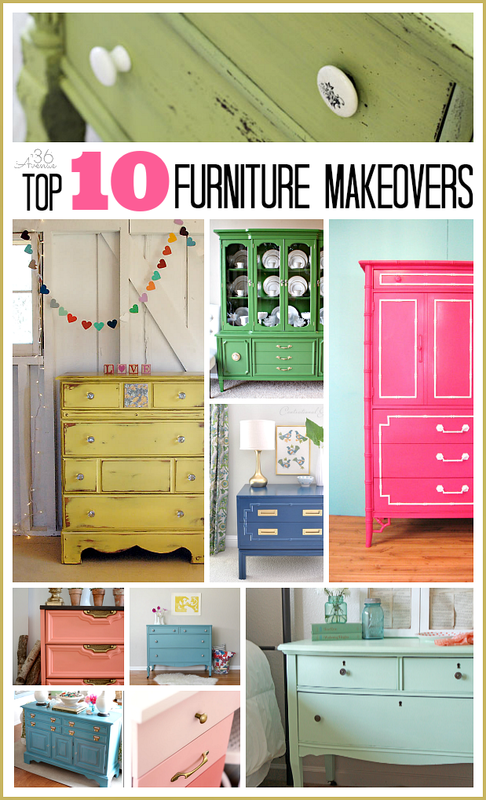 For more amazing furniture makeovers click here… so much inspiration! These are all beautiful, I would like one of each. When I first started decorsting y house I was so nervous to put in color. But, I got over that and love well thought out pops of color. Worst case scenario, I went too far and I paint it again. Wow! These pieces of furniture are all beautiful and elegant samples, I must say. All the pastel colors used here are really something to look up to. I would definitely do a revamp to one of my furniture. This is truly an inspiration for everyone! Each of them…so perfect….There is nothing better than giving a piece a new life. I’d like one each of the little green numbers please, either would look wonderful in my daughters room. Ooooooooooo- I’m so inspired. I have several pieces that I have been neglecting that I really need to make over. gorgeous collection of colorful pieces! Chelsea, I can’t say enough about how gorgeous your night stand is… Thank you so much for sharing! 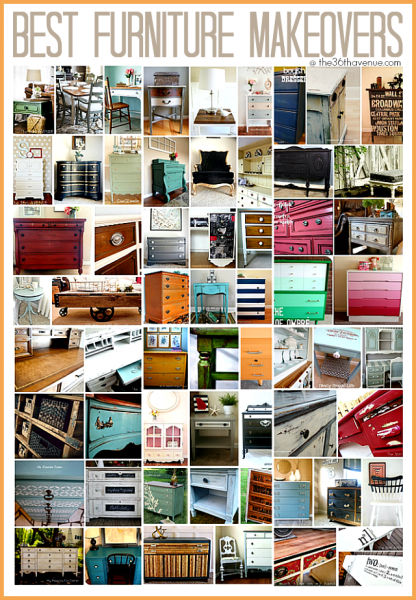 This is a beautiful collection of painted furniture! So many colors that I love.